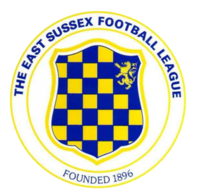 The East Sussex Football League was founded in 1896 and the Premier Division currently sits below the Southern Combination League (formerly the the Sussex County League) Division Two which makes it step eight on the non-league ladder. The top two finishers in the Premier Division can apply for promotion to the SCL subject to ground grading. As the name suggests most of the member clubs come from East Sussex which is a county that stretches from Brighton and Hove in the West to Rye and Camber in the East. The 2015/16 campaign saw the league run with six divisions. Champions of the Premier Division were 'Peche Hill Select' who are based in St Leonards On Sea. The club were formed in 1991 so they also celebrated their twenty fifth anniversary as well the title. Another club from the town finished bottom of Division Five being 'St Leonards FC' who have reformed recently in 2014. The old club did play in the Southern League in the late 90s and up until 2003 when they were relegated back to the Sussex County League. They folded during the 2003/04 season. The club's old ground The Firs is no longer in use, I believe it's now a 6-a-side football sport's centre - they played at Bexhill Road last season. They won one of their sixteen league games which came at Hampden Park United (1-2) in December - they are not included in the league's draft constitution for 2016/17. 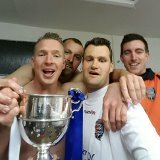 Langley Wanderers won the Premier Division in 2013 and moved up to the Southern Combination League/Sussex County League. They finished in mid-table of Division One (Step 6) of Division One last season - they were only formed in 2010 and played Sunday football for their first two seasons so have made some rapid progress up the football pyramid. They play at Shinewater Lane in Eastbourne which is the former home of Shinewater Association - they amalgamated with Eastbourne United in 2003. Eastbourne has four senior non-league football teams in Eastbourne Borough (Conference South), Eastbourne Town, Eastbourne United Association (both Southern Combination Premier) and now Langley Wanderers as above. The ESFL also have Eastbourne Rangers (Division One last season), Eastbourne Athletic (Division Two last season) as well as Hampden Park United (Division Six) amongst other clubs. 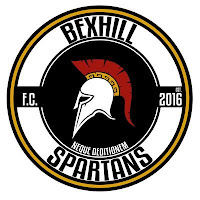 One of the new clubs to join the East Sussex League for 2016/17 is Bexhill Spartans. George Brooks has recently formed the team and will be acting as secretary, treasurer, captain and goalkeeper. TheColdEnd asked him as few questions about the club - he has also played for Carshalton Athletic in the Ryman League and for Westfield and Bexhill United in the Sussex County League (now known as the Southern Combination League). HOW DID THE FORMATION OF BEXHILL SPARTANS COME ABOUT? WHAT ARE YOU AIMS FOR THE FIRST FEW SEASONS IN THE EAST SUSSEX LEAGUE? "We aim to climb up the divisions and we would like to look into making a youth side as well"
WHAT’S THE BEST AND WORST THING ABOUT FOOTBALL? "The best thing about football is it brings everyone together - the worst thing is the huge cost of running a club"
HOW MUCH WILL IT COST TO GET A GAME ON IN THE ESL? "The pitch is £480 for the season (£60 per game) with the referee around £30 per game plus you have to be play fees to the league, insurance, kits and for training equipment so a rough estimate is around £2,000 to start a new club or team"
Bexhill Spartans join the Bexhill Broncos (another new club for 16/17), Bexhill Rovers (Division Four Champions from last season), Bexhill Amateur Athletic Club (Division Two last season), Bexhill Town (another new club in Division One for forthcoming season) and Bexhill United (the town's main club in the Southern Combination League) representing the seaside town next season. "I am the manager of the Bexhill Broncos. I initially hoped to play but looking at the players I've now secured that's looking less and less likely. Hopefully thought I’ll still get to pull the boots on for a couple of cameo appearances. I have played football since under 12 level following a friend along to Tackleway before playing for Battle Rangers for the remainder of my youth football career. In senior football I have spells at Sedlescombe, Battle and Crowhurst. I have spent the last four seasons at Bexhill Rovers." 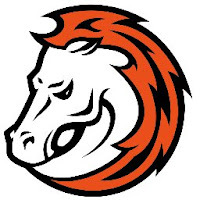 HOW DID THE FORMATION OF THE BRONCOS COME ABOUT? "Me and a friend have toyed with the idea of starting our own team for a couple of years now. For various reasons though it never seemed like the right time. After winning the ESFL Division Four with Bexhill Rovers last year which was largely down to a new coach who came in and revolutionised both our training sessions and the match day approach. We decided the time was right to form a new club and approached a local sponsor who was amazingly supportive of the idea. As well as conversations with friends who were interested in playing the sponsor really gave me the impetus to get my head around the administration stuff and give the team every chance of success." WHAT ARE YOU AIMS FOR NEXT SEASON IN THE ESFL? "As a new club our aims are simple - to enjoy training and playing. That's not to say we won't be taking things seriously. Everyone knows football is much more enjoyable when you are winning. I fell like the best way to ensure this happens is thorough consistency and repetition. Everyone at the club seems to already understand the ethos and why we are training the way we do. We seem to have a really good bunch of lads who, despite not knowing each other only a month ago, seem to bonding really well." WHAT IS THE BEST AND WORST THING ABOUT FOOTBALL AT YOUR LEVEL? "The best thing about at football is this level is the camaraderie. The shared experience of a group of lads all going through the ups and downs of a season together. The worst thing is the pitches and effect the weather has on games being cancelled. Whilst we all appreciate the need for the surface to be safe it sometimes seems like games can be called off at the merest hint of moisture." HOW WOULD YOU CHANGE THE GAME TO MAKE IT BETTER? "In an ideal world I’d love to see trained independent linesman for every game. I don't envy any player who has the run the line but I suppose a more realistic idea would be finding a way to encourage more kids to stay involved in playing 11-a-side football. With so many other distractions available to kids now we are seeing less and less teams in our local leagues. When I first started playing there were nine divisions on a Saturday and four on a Sunday. Now we are down to just five or six Saturday Leagues and not even one Sunday league. The cost doesn’t help, with most teams having to charge players around £10 a week to keep the teams afloat." PLAY THE BEAUTIFUL GAME OR IS IT THE RESULTS THAT MATTER? "Of course as a manager I would say it’s the results that matter but personally it’s all about the beautiful game. At The Broncos it looks like we are building a squad that will hopefully be able to deliver both." THERE WILL BE A BEXHILL DERBY NEXT SEASON v THE SPARTANS... ANY MESSAGES FOR THEM IN ANTICIPATION OF THE TWO LEAGUE GAMES THAT WILL BE PLAYED? "I wish them, as I do all the new clubs, all the best in the coming season. I know from firsthand experience how much hard work goes into getting a new team off the ground. As for our derby matches I’d rather let our football do the talking." "I grew up playing youth football for the old St Leonards Stamcroft club until I joined the army at seventeen - from there I managed to play at my core level at goalkeepe which is the second highest behind Army level. I was still in the Army when I signed for my friend's lovel team Old Hastonians and love it instantly playing as a striker scoring a hat-trick on my debut. I broke my leg in 2002 at home to Magham Down (I can't forget that day!) and came back the next season to play in goal. We on to win Division Three and the cup before the team disbanded in 2006 - I left the army in the same year. I went on to play for Westfield and Rye as a goalkeeper and then as an outfield player for Ridge West, Catsfield and Sedlescombe. The Stones reformed around four years ago by then manager Sam Clee and I joined shortly after. Since then we have reached five cup finals (winning the Hastings Junior Cup versus Crowhurst last season) and have been promoted four times. I am only thirty-three so still ike to play a bit, I don't usually start as I like to organise from the side, unless we are short. I played in twenty-four out of twenty-eight games." "It was my first full season in charge and after losing a few stalwarts in pre-season I was really happy with the players we brought in. We were promoted to Division One due to a league reshuffle - we had previously finished fifth in Division Two. We were always confident within our small squad that we could challenge on all fronts and this proved the case as lost on penalties in the Premier/Division One Cup semi-final, won the Hastings Junior Cup and finished third in the table just three points behind champions Sidley United. Our best result was at home against Eastbourne Rangers in the league. They are a team I beleive are one of the best in the league and they play the best football in the league. We were 0-2 with about fifteen minutes remaining but the team managed to turn the game on it's head and scored three times to take a massive win. The worst result was at home agianst Sidley United who won 1-3, although we didn't deserve to win I think we pretty much handed them their three goals and didn't really turn up for the game - in hindsight winning that game would of won us the league in the end." WHAT ARE YOUR AIMS FOR THE FORTHCOMING SEASON? "We have believe we can finish high up the league table in the ESFL Premier. To be honest I wouldn't be surprised if one of the three promoted sides from Division One this year can win the title (Eastbourne Rangers and Sidley United also went up). Strengthening the squad is crucial to all teams - we have our targets though and I would like to progress as far as possible in the Sussex Intermediate Cup as this pits us against the best local intermediate sides in the County." WHATS THE BEST AND WORST THING ABOUT THE GAME AT YOUR LEVEL? "The best thing about the ESFL is how well the league is run. Unfortunately for the league the weather can take over and make things difficult for them in regards to fixtures - Crowhurst had to play three games in five days at the end of last season. The worst thing is the number of referees coming through at the moment and the council dictating if pitches are fit for use as they don't do pitch inspections - I had many a game called off this season when half didn't need to." "In general I think sportsmanship would make our level of football better. Increasing fees for referees and if they could bring along some younger officials as a kind of work experience to put them in good stead for the future. The linos at our level tend to be a sub who is flag happy who sticks in up as soon as their centre back tells them too when an attacking player is clearly onside. Saying that against Sidley last season in a 2-2 draw we scored a goal that only just went over the line and the referee wasn't going to give it until the Sidley linesman flagged to confirm it went in so huge respect for that - it's just shame that some others don't have the same integrity." IF YOU ARE INTERESTED IN SPONSORING ANY OF THE CLUB'S FEATURED PLEASE CONTACT THEM AND SUPPORT LOCAL FOOTBALL. I would like to thank Dan, Oli and George for taking time out to speak to me and make this article a really interesting read for everyone. I wish them all the best of luck for the forthcoming season.